Somewhere deep down in the vast memory of a data server, an ecosystem has emerged. Decades of lost code and forgotten algorithms have accumulated in the eddies and flows of the internet. A small bubble of life has blossomed. 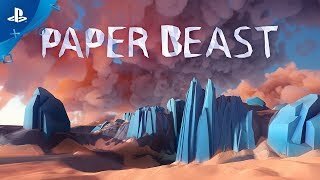 Paper Beast is born. Discover a fully interactive, simulated living world. Interact with the environment in an immersive, playful universe.